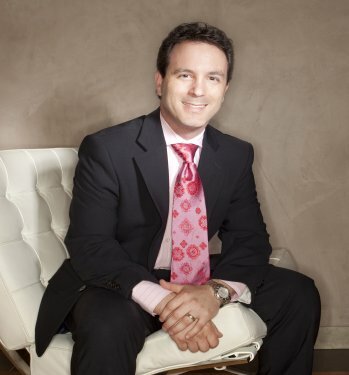 Los Angeles & Beverly Hills plastic surgeon Dr. Jason Litner is a highly skilled Facial Plastic and Reconstructive surgeon originally from Toronto, Canada. He attended medical school at the prestigious University of Toronto Faculty of Medicine, Canada’s largest and arguably most distinguished medical program. Upon graduation, Dr. Litner was awarded the Cody Gold Medal for achieving the highest standing throughout his 4 years at medical school. He went on to complete residency training at the acclaimed New York Eye and Ear Infirmary, the oldest specialty hospital in North America, where he was appointed Administrative Chief Resident. Subsequently, he completed a fellowship in Rhinoplasty and Cosmetic Facial Plastic Surgery with renowned surgeon Dr. Peter Adamson, past President of the American Academy of Facial Plastic and Reconstructive Surgery. This highly coveted fellowship is one of few worldwide that provides extensive training in the area of complex revisional surgery of the face. Dr. Litner is the recipient of numerous awards of recognition, most recently including the Norman E. Stoller Surgery Award from Beth Israel Medical Center, the J. Swift Hanley Teaching Award, the Turner Award for Excellence from the New York Eye and Ear Infirmary, and the Kris Conrad Merit Award in Facial Plastic Surgery from the University of Toronto. Dr. Litner was most recently on full-time academic staff at the University of Toronto, St. Michael’s Hospital site, a major downtown Toronto trauma center. He is now in full-time private practice at PROFILES Beverly Hills. He is board certified in Otolaryngology by the American Board of Otolaryngology-Head and Neck Surgery, and the American Board of Facial Plastic and Reconstructive Surgery as well as the Royal College of Physicians and Surgeons of Canada. Dr. Litner is an international patent holder and author of over twenty scholarly papers and book chapters relating to Facial Plastic Surgery, and has presented his original work internationally. He has recently co-authored a book on Otoplasty Technique. 1995 B.Sc. (First Class with Distinction), Faculty of Pure and Applied Sciences, York University, Toronto, Canada. 1999 M.D. (Gold Medal), Faculty of Medicine, University of Toronto, Toronto, Canada. July 1, 1999 – June 30, 2000 Internship, Surgery, Beth Israel Medical Center, New York, NY. July 1, 2000 – June 30, 2004 Residency, Otolaryngology-Head and Neck Surgery, The New York Eye and Ear Infirmary and Affiliated Hospitals: New York Eye and Ear Infirmary, St. Vincent’s Hospital Medical Center, Beth Israel Medical Center, St. Luke’s Roosevelt Hospital Center, and Westchester Medical Center, New York, NY. July 1, 2004 – June 30, 2005 Fellowship, American Academy of Facial Plastic and Reconstructive Surgery, Supervisor, Dr. Peter A. Adamson, University of Toronto, Toronto, Canada. July 1, 2004 – June 30, 2005 Clinical Fellow, Department of Otolaryngology-Head and Neck Surgery, University of Toronto, Toronto, Canada. 1994 – 1999 Research Assistant, Clinical Epidemiology Unit, Supervisor, Paula A. Rochon, M.D., Baycrest Centre for Geriatric Care, Toronto. Responsible for data collection and management, grant and manuscript preparation relating to meta-analytic studies of therapies affecting elderly patients. 1997 Research Assistant, Division of Plastic Surgery, Supervisor, Paul Binhammer, M.D., Sunnybrook Health Sciences Centre, Toronto. Developed a validated survey relating to appearance satisfaction after craniofacial injury. 1992 Ontario Scholarship. Awarded for overall academic excellence in secondary education by the Government of Ontario. 1992 Canada Scholarship. Awarded for overall academic excellence in secondary education by the Government of Canada. (Renewed through 1994). 1992 Academic Entrance Scholarship. Awarded for overall academic excellence upon entering university. York University, Toronto, Canada. (Renewed through 1994). 1993 CRC Press Freshman Chemistry Award. Awarded for the highest academic achievement in Chemistry. York University, Toronto, Canada. 1995 Carleton E. Perrin Prize for Excellence in the Sciences and Humanities. Awarded to the student in the Faculty of Pure and Applied Sciences with the highest achievement in a Humanities course. York University, Toronto, Canada. 1995 Dean’s Honour Roll, Graduated First Class with Distinction. York University, Toronto, Canada. 1996 Dr. C.S. Wainwright Memorial Scholarship. Awarded to the student with the highest academic class standing. Faculty of Medicine, University of Toronto. (renewed through 1998). 1996 Max and Roslyn Gordon Research Scholarship. Clinical Epidemiology Unit, Baycrest Centre for Geriatric Care, Toronto, Canada. 1997 Sunnybrook Health Sciences Centre Summer Research Scholarship. Division of Plastic Surgery, Sunnybrook Health Sciences Centre, Toronto, Canada. 1999 Cody Gold Medal. Awarded for attainment of first rank in the graduating class. Faculty of Medicine, University of Toronto. 2000 Norman E. Stoller Award. Awarded annually to the surgical resident who best demonstrates the qualities of a surgeon. Department of Surgery, Beth Israel Medical Center, New York, NY. 2004 J. Swift Hanley Resident Teaching Award. Awarded to the graduating resident who best demonstrates excellence in teaching as voted by his peers. Department of Otolaryngology-Head and Neck Surgery, New York Eye & Ear Infirmary, New York, NY. 2004 Administrative Chief Resident Award. Awarded for service as administrative chief resident for the period of July, 2003 to June, 2004. Department of Otolaryngology-Head and Neck Surgery, New York Eye & Ear Infirmary, New York, NY. 2004 William H. and Judith Turner Award for Excellence. Awarded to the graduating resident who best exemplifies overall clinical excellence across all hospital departments. New York Eye & Ear Infirmary and Affiliated Hospitals, New York, NY. 2005 Kris Conrad Merit Award in Facial Plastic and Reconstructive Surgery. Awarded for excellence in clinical and research endeavours in Facial Plastic Surgery. Department of Otolaryngology-Head and Neck Surgery, University of Toronto, Toronto, Canada. May 2003 Choe KS, Sclafani AP, Litner JA, Yu G-P, Romo T. The Korean-American woman: anthropometric analysis and facial aesthetic concept. COSM, Nashville, TN. (Presented by Kyle S. Choe, M.D.). Sept 2003 Sclafani AP, Romo T, Ukrainsky G, McCormick SA, Litner JA, Kevy S, Jacobson M. Modulation of wound response and soft tissue ingrowth into synthetic and allogeneic implants with platelet concentrate. AAFPRS Fall Meeting, Orlando, FL. (Presented by Gennady Ukrainsky, M.D.). May 2004 Litner JA, Linstrom CJ, Silverman C, Arigo J, McCormick SA, Yu GP. A resorbable Eustachian tube stent: feasibility and safety in a chinchilla model. CSO-HNS Annual Meeting, Québec City, QC. Sept 2004 Yalamanchili H, Choe KS, Litner JA, Sclafani AP, Quatela VC. The Korean-American woman’s nose: an in-depth nasal morphological analysis. AAFPRS Fall Meeting, New York, NY. (Presented by Haresh Yalamanchili, M.D.). May 2005 Litner JA, Adamson PA. The deep plane face lift: is it worth the coronary spasm? Percy Ireland Research Day, University of Toronto, Toronto, Canada. Sept 2005 Litner JA, Adamson PA. Statistical Outcomes Analysis of Short Flap through Deep Plane Face Lifts. AAFPRS Fall Meeting, Los Angeles, CA. July 2000 Facial Plastic Surgery Teaching Rounds, Department of Otolaryngology-Head and Neck Surgery, New York Eye and Ear Infirmary. Topic: Cutaneous Malignancy. July 2000 Facial Plastic Surgery Teaching Rounds, Department of Otolaryngology-Head and Neck Surgery, New York Eye and Ear Infirmary. Topic: Facial Analysis. Aug 2000 Facial Plastic Surgery Teaching Rounds, Department of Otolaryngology-Head and Neck Surgery, New York Eye and Ear Infirmary. Topic: Nasal Restoration. Sept 2000 Facial Plastic Surgery Teaching Rounds, Department of Otolaryngology-Head and Neck Surgery, New York Eye and Ear Infirmary. Topic: Mandibular Reconstruction. Feb 2001 Facial Plastic Surgery Teaching Rounds, Department of Otolaryngology-Head and Neck Surgery, New York Eye and Ear Infirmary. Topic: Management of Nasal Fractures. Feb 2001 Facial Plastic Surgery Teaching Rounds, Department of Otolaryngology-Head and Neck Surgery, New York Eye and Ear Infirmary. Topic: Rhytidectomy. Feb 2001 Grand Rounds, Department of Otolaryngology-Head and Neck Surgery, New York Eye and Ear Infirmary. Topic: Petrous Apicitis: Diagnosis and Management with Case Illustration. March 2001 Facial Plastic Surgery Teaching Rounds, Department of Otolaryngology-Head and Neck Surgery, New York Eye and Ear Infirmary. Topic: The Aging Forehead. March 2001 Otology Resident Teaching Rounds, Department of Otolaryngology-Head and Neck Surgery, New York Eye and Ear Infirmary. Topic: Approach to Vertigo. July 2003 City-wide Academic/Basic Science Resident Rounds, Department of Otolaryngology-Head and Neck Surgery, New York Eye and Ear Infirmary. Topic: Voice Disorders and Laryngopharyngeal Reflux. July 2003 City-wide Academic/Basic Science Resident Rounds, Department of Otolaryngology-Head and Neck Surgery, New York Eye and Ear Infirmary. Topic: Oral Pathology. May 2004 Resident Research Presentation, Department of Otolaryngology-Head and Neck Surgery, New York Eye and Ear Infirmary. Topic: Pilot Study of a Resorbable Poly-l-lactide Eustachian Tube Stent: Feasibility and Tolerability in a Chinchilla Model. Nov 2004 Mount Sinai Hospital Resident Teaching Rounds, Department of Otolaryngology, University of Toronto. Topic: Blepharoplasty Basics. March 2005 Grand Rounds, Department of Otolaryngology-Head and Neck Surgery, University of Toronto. Topic: Face of the Future: Update on Facial Plastic Surgery. Nov 2005 Resident Practice Oral Examinations in Facial Plastic Surgery, Department of Otolaryngology-Head and Neck Surgery, University of Toronto. July 2003 United States Patent No. US 6,589,286 B1 “Eustachian Tube Stent”, Issued July 8, 2003. Taken from conceptualization through design and feasibility investigation. Technology licensed to PPD Méditech, Waterville, QC. Currently undergoing phase II animal efficacy trial in New York, NY. Rochon PA, Gill SS, Litner J, Fischbach M, Goodison AJ, Gordon M. A systematic review of the evidence for hypodermoclysis to treat dehydration in older people. Journal of Gerontology: Medical Sciences 1997;52A(3):M169-M176. Rochon PA, Binns MA, Litner JA, Litner GM, Fischbach MS, Eisenberg D, Kaptchuk TJ, Stason WB, Chalmers TC. Are randomized control trial outcomes influenced by the inclusion of a placebo group? : A systematic review of non-steroidal anti-inflammatory drug trials for arthritis treatment. Journal of Clinical Epidemiology 1999;52(2):113-122. Choe KS, Sclafani AP, Litner JA, Yu GP, Romo T. The Korean-American woman’s face: anthropometric measurements and quantitative analysis of facial aesthetics. Arch Facial Plast Surg 2004 Jul-Aug;6(4):244-52. Sclafani AP, Romo T, Ukrainsky G, McCormick SA, Litner JA, Kevy S, Jacobson M. Modulation of wound response and soft tissue ingrowth into synthetic and allogeneic implants with platelet concentrate. Arch Facial Plast Surg 2005 May-Jun;7(3):163-9. Adamson PA, Litner JA, Dahiya R. The M-Arch Model: a new concept of nasal tip dynamics. Arch Facial Plast Surg 2006 Jan-Feb;8(1):16-25. Litner JA, Adamson PA. Limited vs. extended face-lift techniques: objective analysis of intraoperative results. Arch Facial Plast Surg 2006 May-Jun;8(3):186-90. Adamson PA, Dahiya R, Litner JA, Vosu H. Malignant Hyperthermia: successful management in a private surgery centre. J Otolaryngol 2006 Jun;35(3):186-9. Choe KS, Yalamanchili HR, Litner JA, Sclafani AP, Quatela VC. The Korean American woman’s nose: an in-depth nasal photogrammatic analysis. Arch Facial Plast Surg 2006 Sep-Oct;8(5):319-23. Adamson PA, Dahiya R, Litner JA. Midface effects of the deep-plane vs. the superficial musculoaponeurotic system plication face-lift. Arch Facial Plast Surg 2007 Jan-Feb;9(1):9-11. Litner JA, Linstrom CJ, Silverman C, Arigo J, McCormick SA, Yu GP. Pilot study of a resorbable poly-l-lactide Eustachian tube stent: feasibility and tolerability in a chinchilla model. Adamson PA, Litner JA, Morales S. Objective effects of healing touch therapy on recovery from cosmetic surgery. Adamson PA, Litner JA, Rotenberg BW. Impact of cosmetic surgery on quality of life. Romo T, Litner JA, Sclafani AP. Management of the severe bulbous nasal tip using porous polyethylene alloimplants. Facial Plast Surg 2003 Nov;19(4):341-8. Romo T, Soliemanzadeh P, Litner JA, Sclafani AP. Rhinoplasty in the aging nose. Facial Plast Surg 2003 Nov;19(4):309-15. Adamson PA, Litner JA. Surgical management of the aging neck. Facial Plast Surg 2005 Feb;21(1):11-20. Adamson PA, Litner JA. Applications of the M-Arch model in nasal tip refinement. Facial Plast Surg 2006 Feb;22(1):42-8. Adamson PA, Litner JA. Sutures and scars. Can J CME 2006 Feb;118(2):47. Adamson PA, Litner JA. Revision tip rhinoplasty. In: Revision Rhinoplasty. ed, Becker D. Thieme Medical Publishers, Inc., 2005 (in press). Adamson PA, Litner JA. Open Rhinoplasty. In: Facial Plastic and Reconstructive Surgery. 3rd edition. ed, Papel ID. Thieme Medical Publishers, Inc., 2005 (in press). Adamson PA, Litner JA. Evolution of rhytidectomy techniques. Facial Plast Surg Clin North Am 2005 Aug;13(3):383-91. Litner JA, Adamson PA. Otoplasty technique. Facial Plast Surg Clin North Am 2006 May;14(2):79-87. Adamson PA, Litner JA. Psychological aspects of revision rhinoplasty. Facial Plast Surg Clin North Am 2006 Nov;14(4):269-77. Adamson PA, Litner JA. Otoplasty technique. Otolaryngol Clin North Am 2007 Apr;40(2):305-18. Raunig H. Antihelix plasty without modeling sutures. Arch Facial Plast Surg 2005 Sep-Oct;7(5):334-41.